On view at the Mendez Big and Small Art Gallery in Metro Manila – the “Blended” views of a humorous and playful artist, Romilo Nadonza. Nadonza is known for ‘twisting, if not squeezing’ reality out of Old Master paintings and creating serious and often passionate paintings which mimic life. 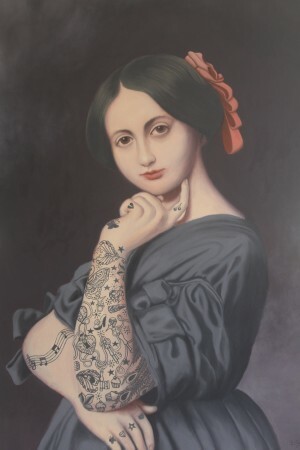 From the likes of Jean-August-Dominique Ingres and the “Portrait of Countess D’Haussonvuille” – Nadonza recreates the Countess sporting a modern-day makeover with tattoos, a truly endearing pose. 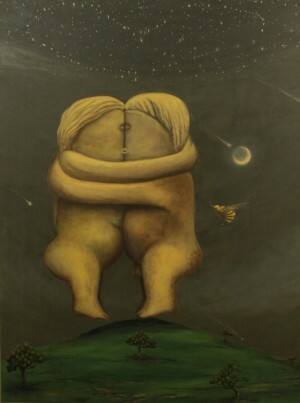 A contemporary painter of those of long ago with a twist of modern reality. To view this exciting Filipino artist, visit the art exhibit entitled”Blended” at the Mendez Big and Smart Art Gallery in Mandaluyong, Metro Manila. Is religion – the opium of the masses – the most dangerous drug in the Philippines?